Google is always testing the limits of its all-seeing eye, and the tech giant's newest project puts its relentless reach to good use. 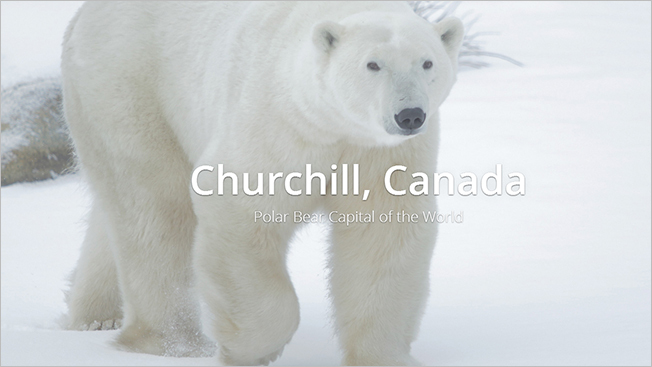 Partnering with Polar Bears International to raise awareness of the species' plight amid a changing climate, Google Maps has created a series of Street View images taking you on a tundra tour of the "polar bear capital of the world," Churchill, Canada. "The Google Maps team mounted the Street View Trekker onto a specially designed 'Tundra Buggy,' allowing us to travel across this fragile landscape without interfering with the polar bears or other native species. Through October and November we collected Street View imagery from the shores of Hudson's Bay as the polar bears waited for the sea ice to freeze over." Polar Bear International also uses the Google Maps API to power its fascinating Bear Tracker.